The growing influence of innovative products such as crowdfunding and digital fundraising are both relevant to the sector. The tools are out there. It's a case of picking them up and using them. Moreover, technology is only one aspect. Innovation comes in many forms. You do not have to rely solely on fundraising to finance the impact you want to create. There are several new financial tools available, including loan finance, social impact bonds and community shares. This event is aimed at individuals who are keen to explore innovation in funding, from fundraising online to social investment. The conference promises to deliver practical tips to help your organisation explore innovative approaches to reach your fundraising targets and push boundaries. • Medical (Cerebral palsy, cancer, brain tumours). There are no stated minimum or maximum amounts. Awards tend to range from £1,000 to £25,000. The Foundation allocates around£200,000 each year. Registered charities and other charitable organisations that are operating in the UK are eligible to apply. The application process is ongoing and interested applicants may apply at any time. Applications should be made in writing. If you like minimalism, the Foundation's website will probably be right up your street. More information is, however, available on the Charity Commission website. After being closed to applications for the month of September, theLloyds Bank Foundation for England and Wales is expected to reopen to applications on Monday 5 October with a major change. Previously, charities could apply for funding at any time. The Foundation reports that it will now change to a ‘grant round approach from 2016’. Three grant rounds will operate in 2016 with decisions at the end of March, July and November. Detailed timetables will be published on the Foundation’s websiteto provide clear guidance on the deadlines for each round. Invest is a flexible, long-term core funding programme for charities delivering clear, targeted outcomes for disadvantaged people. These grants are up to £25,000 per year for two or three years, with the opportunity for continuation funding for a further period - up to six years in total. This is a smaller and shorter grants programme for charities that have identified clear development needs. This funding aims to help the organisations deliver their mission more effectively. Grants are up to a total £15,000 over two years. Applicants to either programme are expected to be working with people experiencing multiple disadvantage at one of the critical points in their life. o Are long term unemployed. o Have an income in the last set of published accounts of between £25,000 and £1 million. Further details can be found on the Lloyd’s Bank Foundation’s website. Welfare grants are offered once a year to UK registered charities to promote the health and welfare of animals, such as dogs, cats, horses and rabbits, in the UK. - One major welfare grant of up to £20,000 towards an innovative project to improve animal care and welfare. - Up to £40,000 to be distributed for general grants of between £5,000 and £7,500. This can include items such as neutering, kennelling costs and veterinary fees. - Up to £40,000 to be distributed for general grants of up to £5,000. This can include items such as neutering, kennelling costs and veterinary fees. - Grants to assist with vehicle purchase. o The relief of poverty. Awards tend to start at £1,000 and continue upwards to £20,000and £30,000. Charitable organisations based and working within the UK seeking funding for charitable projects in the above areas may apply. PLEASE NOTE: you do not have to be a registered charity to apply for a grant from this scheme. • Advance the education of young people within rural areas. • Relieve poverty within rural areas. • Promote the benefit and social welfare of inhabitants of rural communities by associating together with the inhabitants and local authorities, voluntary and other organisations to advance education and leisure. • Advance the education of the public by means of research and dissemination of information in relation to agriculture. • Promote research into agriculture associated activities. • Advance the education of the public by means of research and dissemination of information in relation to insurance. The Trustees are particularly interested in initiatives in the areas of education of young people in rural areas and relief of poverty within rural areas. Following a recent strategic review, the Trustees have indicated that in future, the Trust will focus on providing funding to larger initiatives, which are likely to have a significant impact on the rural community. • The project, initiative or organisation for which funding is sought. • The amount of funding being requested. • Details of any other funding sought and or obtained. • Any recognition which would be given to the Trust in recognition of its support. • Confirmation of whether or not the applicant is a registered charity. The next deadline for applications is Friday 23 October 2015. For further information, visit the NFU Mutual Charitable Trust website. The Balcombe Charitable Trust provides grants to charitable organisations in the UK. 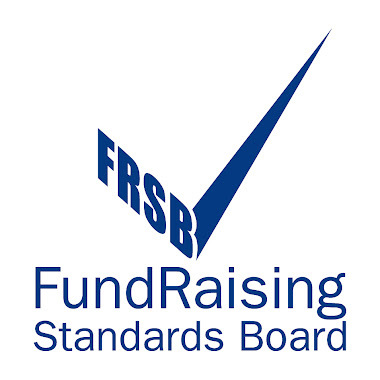 Eligible organisations must be a UK registered charity or a charitable organisation which is exempt from registration. Previously grants have been awarded for between £200 and£160,000. In the financial year ending 5 April 2014 the Trust made donations to 21 different charitable organisations totalling£419,695. The average award was slightly below £20,000. 95% of all grants were awarded to health and welfare projects. In many cases the Trust provides funding for two or three years to help ensure the stability of a project or initiative. New projects are required to have a business plan that demonstrates the applicant’s long-term sustainability. o The further development of a telephone befriending service for the isolated and elderly along with outreach work to empower and support carers who are otherwise isolated in the community. The Trust does not maintain a website or have a formal application form. Applications, which may be made at any time, should be in writing to the Trust. Further information about the Trust is available on the Charity Commission website. Agencies can apply for either a Small Grant up to £10,000 for projects of one year or a Main Grant exceeding £10,000 for projects up to three years. o Take the initiative and show clearly how they will make a difference in children and young people's lives. o Address the challenges the children and young people face, build their skills and resilience, empower them and extend their choices in life. o Involve children and young people in the design, delivery and evaluation of their work. o Be keen to keep learning about their work so that their ability to make a difference in children and young people's lives can keep on improving. The Small Grants programme is looking for projects where a relatively small amount of money can make a big difference for children and young people. The Main Grants programme offers grants over £10,000 to support projects for up to three years. PLEASE NOTE: there is no upper limit for Main Grants but very few grants over £100,000 are made and most grants are for much less. The grants are to be used for direct project costs that relate clearly and wholly to a project. Costs can include salaries, volunteer expenses, building hire and travel. In many cases project costs also include less delivery-focused aspects such as line management, administration, insurance and utilities. The next deadline for Small Grant applications is Tuesday 1 December 2015. The next deadline for Main Grant applications is Friday 15 January 2016. For further information visit the BBC Children in Need website. Applications are open for the 2016 GSK IMPACT Awards which provide funding and free training for charities that are working to improve people’s health and wellbeing. Ten award winners will be chosen who will receive core funding of up to £40,000 plus access to free training and development opportunities valued at a further £6,000. The winning organisations will also receive many other benefits including having a film made, press coverage and showcasing their work at a national award ceremony attended by around 400 guests. The GSK IMPACT Awards give organisations access to a free leadership programme, designed specifically for health and wellbeing charities, provided by The King’s Fund. The closing date for applications is Friday 25 September 2015. The Paul Hamlyn Foundation has introduced a new Youth Fund which will provide grants between £10,000 and £60,000 in total over two years. The Foundation expects to make around 30 awards each year, so this will be an extremely competitive scheme. The Fund will pay for core operating costs to help grow an organisation’s impact. o Academic research, short courses, scholarships or bursaries. The Foundation wants to grant aid organisations which work with young people in a way that recognises and builds on their strengths and potential. o Struggling with addiction or a stigmatising health condition. The Youth Fund is an open process without deadlines. It has two stages and applications may be made at any time by completing an online application form (applicants are required to register with the Foundation first) answering a standard set of questions. For further information visit the Foundation’s Youth Fund webpage. The Central Social and Recreational Trust aims to improve the conditions of children and young people under the age of 21 who would otherwise be unable to obtain facilities for recreational or other leisure time pursuits. Grant awards are normally up to £1,000, although the Trust will consider applications above this figure in exceptional circumstances. o Maintenance of properties, as long as the property is owned by the club or there is a significant lease period. Funding is not available for individuals or individual items, such as personal items of kit. All young people who are to benefit must be under 21 years of age. The Trustees will consider the economic and social circumstances surrounding the beneficiaries of the grant. Sports clubs and organisations that are affiliated to their governing body, for example, the Amateur Boxing Association of England, the National Association of Clubs for Young People or the Football Association are eligible to apply. Applications may be submitted at any time via an online form and applicants are expected to show what funding they’ve secured towards their project from other sources. For further information, visit the Central Social and Recreational Trust website. The People and Places programme funds capital and revenue projects that encourage co-ordinated action by people who want to make their communities better places to live. - Enhancing local environments, community services and buildings. - Projects will be able to apply for up to five years (instead of three years) funding. - Projects above £500,000 will no longer need to provide evidence that they are innovative in design. All other programme eligibility will remain the same. Revised application forms and guidance notes will be available on the Big Lottery Fund website on 5 October 2015. It is funded by the network operator Western Power Distribution (WPD) and administered by the Centre for Sustainable Energy(CSE), and is open to groups in the South West of England, the Midlands and South Wales (e.g. WPD's area of operation - see the postcode checker in the Guidance and Eligibility document). The Ideas and Pioneers Fund provides grants for individuals and teams to support the early development of ideas with unusual promise to improve the life chances and opportunities of individuals and communities in the UK. Grants of up to £30,000 are available for up to 18 months. ThePaul Hamyn Foundation aims to make around 30 awards each year. The Foundation's mission is to “help people overcome disadvantage and lack of opportunity, so that they can realise their potential and enjoy fulfilling and creative lives”. o To support imaginative people to nurture exciting ideas. o To widen access and participation in the arts. o To improve people’s education and learning through the arts. o To show that the arts make a difference to people’s lives. o To support the development and growth of organisations investing in young people and positive change. o To improve support for young people who migrate, and strengthen integration so that communities can live well together. o Ideas that relate closely to the Foundation's charitable mission, which is focussed around helping people to overcome disadvantage and lack of opportunity, so that they can realise their potential and enjoy fulfilling and creative lives. o Ideas that are in the early stages of development, although some initial work should have already been done. o Ideas that have not currently received funding from any other funding bodies, although applicants might have applied elsewhere. o Ideas that will not require follow on funding. o Ideas that may require a risk, as the Foundation recognises that some ideas are not going to work out. Funding is available for a wide range of things that might be needed to get the idea off the ground, and the Foundation will consider funding work that will enable applicants to develop the idea from concept to set-up, including problem definition and analysis, scoping, exploratory work, and prototyping. o Individual pioneers working on their own. o Partnerships or small teams of pioneers working independently (i.e. not as part of an organisation or association). o People working in small constituted organisations that employ no more than five people (full time equivalent). o Applicants aged 18 and above. PLEASE NOTE: priority will be given to applicants who haven't applied to the Foundation before. The 2015 application deadlines are Monday 14 September, Monday 12 October and Monday 9 November. o A video lasting up to three minutes, explaining what the idea is and why it should be done. o A short written form. o An equalities monitoring form. For further information on how to apply, visit the Foundation’s webpage on the Ideas and Pioneers Fund. The Deadline for completed applications is on Monday 26th October at midday. All volunteering must take place in Powys.